It was a whirlwind affair that began with a Saudi teen barricaded in a Thai hotel room demanding asylum. Now, questions are being raised about the reasons for Canada's speedy decision to resolve her case, the message it sends and its implications for the future of already-frosty relations with Saudi Arabia. It was a whirlwind affair that began with a Saudi teen barricaded in a Thai hotel room bravely defying the laws of her country and against long odds, refusing to return to her allegedly abusive family. Just days later, Rahaf Mohammed al-Qunun was on Canadian soil flanked by smiling officials and local service providers amid the flash of cameras — a swift resolution to a story that could have had a very different ending. "I believe in lighting a single candle, and where we can save a single person, where we can save a single woman, that is a good thing to do," Canada's Foreign Minister Chrystia Freeland told reporters at Toronto's Pearson Airport, the memory of recent mudslinging with Saudi Arabia over detained women's rights advocate Samar Badawi hanging in the air. Now, as Qunun begins a new life in a new country, questions are being raised about the reasons for Canada's speedy decision to grant her asylum, the message it sends and its implications for the future of the country's already-frosty relationship with Saudi Arabia, where an estimated 17,000 Canadians currently live. 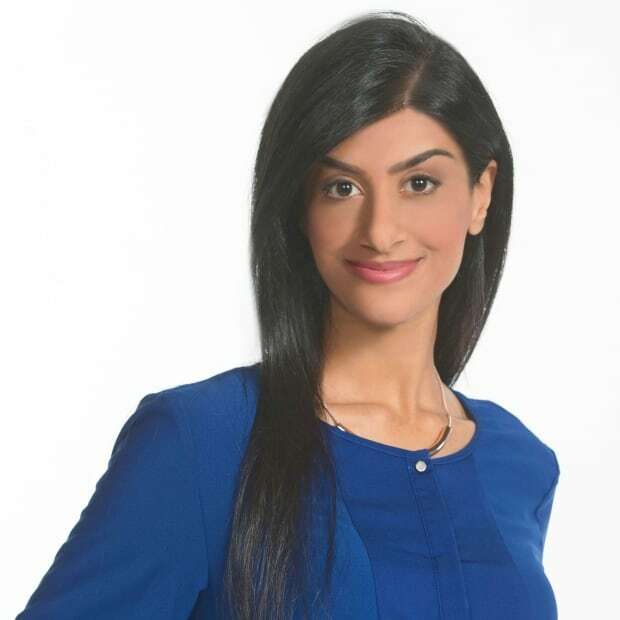 "Canada and Saudi Arabia are in a political battle currently, so because this woman is Saudi, my sense is that there was some political motive in promoting the 'rescuing' of a Saudi girl," said Ryerson University professor Mehrunnisa Ali. "Of course, the rescuing of oppressed people is a Western narrative in many different ways, but the securing of a Saudi woman being oppressed by her family and her country sharpens this narrative in ways that may not have been possible otherwise." The exact details of the 18-year-old's plight weren't immediately known. After her arrival in Canada, she was whisked to an undisclosed location out of concern about what her dissent from the kingdom might mean for her safety. Late Monday afternoon, in a one-on-one interview with CBC News, the teen opened up about what she'd been through. "I was exposed to physical violence, persecution, oppression, threats to be killed. I was locked in for six months," she said, in Arabic, describing what happened after she cut her hair, something her family was strongly against. Speaking to the New York Times before being granted asylum, Qunun described life in Saudi Arabia as "a prison." The country's highly restrictive guardianship laws require women to be granted permission from a male relative to work, travel, marry and receive certain kinds of medical treatment. Thai immigration police Chief Surachate Hakparn told The Associated Press Qunun's father denies physically abusing her or trying to force her into an arranged marriage, which were among the reasons she gave for wanting asylum. 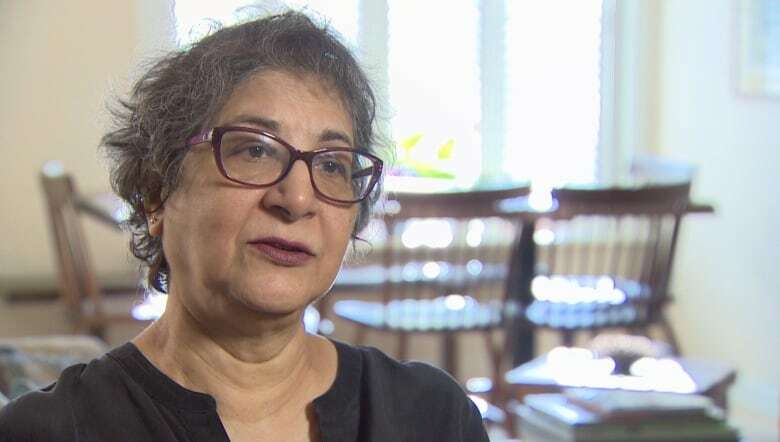 "They can't even leave the home without the permission of their guardian," B.C.-based activist Yasmine Mohammed told CBC News. "Many times, it's the guardian himself that's abusing her, so it puts women in an absolutely impossible situation." Mohammed says her personal experience as a Muslim woman led her to leave the religion. So why was it that Qunun's case was processed so speedily? Lauren La Rose, a spokesperson for the UN's refugee agency, told CBC News Qunun's case was an "exceptional" situation, a designation determined by the UN on a case-by-case basis. Examples of high priority cases include those where someone is very ill or violence against women or girls. "While it may be new information for the public, it is something that UNHCR does in terms of facilitating fast-track resettlements in situations when individuals may be facing immediate life-threatening situations or at risk of being threatened in their home country," according to an international principle known as non-refoulement. Out of an estimated 25.4 million refugees worldwide, less than one per cent are resettled because the need simply outweighs the number of spaces available globally, said UNHCR senior resettlement officer Michael Casasola. But at least one former diplomat said Canada's privileging of Qunun's case could set a "dangerous precedent." "The Australians were prepared, as I understand it, to accept her as a refugee claimant. What we did is go one step further and accept her not as a claimant but as a refugee. And that's a process that in Canada typically requires an assessment of the claim, a vetting of the individual and a decision that typically can take as much as two years," said David Chatterson, Canada's ambassador to Saudi Arabia from 2009-2011. "What happens the next time a teenage girl or adult woman from Saudi Arabia flees her family and declares herself to no longer be a Muslim, does that mean automatic sanctuary?" In Saudi Arabia, leaving Islam is treated as a crime punishable by death. Asked on Sunday about how and why Qunun's claim was processed so quickly, Global Affairs Canada was tight-lipped. "When the Office of the United Nations High Commissioner on Refugees (UNHCR) made a request of us that we grant Ms. Rahaf al-Qunun asylum, we accepted. Out of concern for her safety, we ask that her privacy be respected," said spokesperson Stefano Maron. For some, including senior research fellow at the Institute for Strategic Dialogue Amarnath Amarasingam, it's concerning how Qunun's case is being celebrated by figures that often push an anti-Islam or anti-immigration message. "Many on the far-right love ex-Muslims, and many ex-Muslims on the far-right often present themselves as so-called native informants presenting to the mainstream the real 'truth' about Muslims," he said. "It's perhaps not surprising that many of these individuals on the far-right encouraged Canada to accept Rahaf after it was rumoured that she had abandoned Islam. To be clear, I'm very happy that Canada let her in but ... I'm going to go out on a limb and say there are some ulterior motives there." Dennis Horak, who served as Canada's ambassador to Saudi Arabia until he was expelled from the country last year, said the next few days could make a big impact on diplomatic relations between Canada and the kingdom. "I would hate to see us use this to keep trotting her out and have meetings with the Prime Minister ... various photo-ops things like that [and] that become the mallet with which we bash Saudi Arabia," he said. "Does she become a prop for our disputes and our concerns with Saudi Arabia? I don't think that's fair to her and I don't think it's valuable in trying to rebuild our relationship." Meanwhile Ali, who was herself involved in sponsoring two Syrian refugee families — of which one case took almost two years to process — remains concerned with the message she said this high-profile case sends, including that winning public attention could make a claim more likely to proceed than another. "That's the biggest risk of power being exercised in a way that prioritizes some refugees versus others," she said. "The message that we may be giving is that rather than go through the system, reach a powerful person."